Comments Off on Free Tibet??? Until only a few years ago, the only thing I knew about Tibet was that lots of people who like the Grateful Dead, hugging trees and world peace (according to the many bumper stickers on their car) also wanted Tibet to be free. 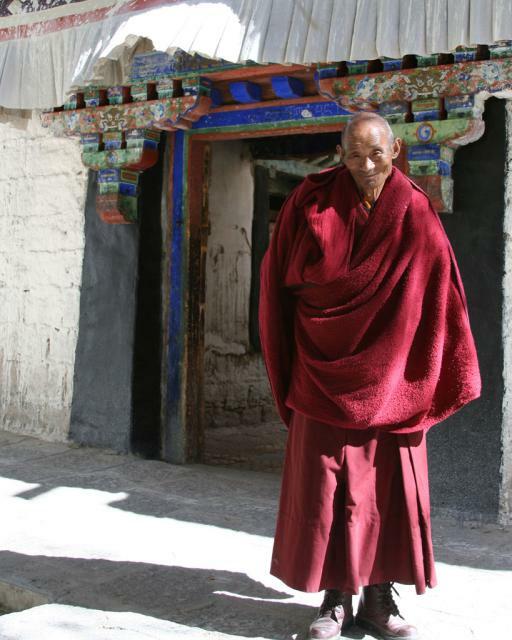 The Tibet Autonomous Region is technically a part of China, but it is a world apart. The people, the language, the religion, the clothes, the culture, the food – well, everything – is different from the rest of China. It is geographically located in the western part of China, north of India and Nepal. In Southern Tibet lie the great Himalaya mountains, including Mt. Everest which straddles the border of Tibet and Nepal. With an average elevation of 15,400 feet, Tibet is known as the “Rooftop of the World”. The greatest distinguishing characteristic of Tibet is its religion. Tibetans practice a form of Buddhism that is unique to this area. To a Westerner’s eye, it is much more ritualistic and colorful than schools of Buddhism you’ll find in other parts of Asia. When you’ve seen pictures of monks wearing funny-looking hats and chanting “Om” in a deep voice, there’s a good chance they were Tibetan Buddhists. The leader of the Tibetan Buddhists is the Dalai Lama1. According to Tibetan Buddhists, the Dalai Lama is the reincarnation of a prior Dalai Lama. 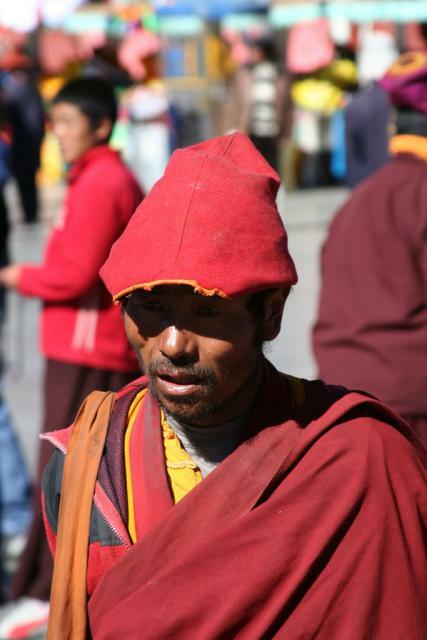 He is to Tibetans as the Pope is to Catholics – and then some. They worship him. As you may know, the Dalai Lama met President Bush while on a US visit a few weeks ago. This was major news in Tibet and in China (where the officials expressed their great disappointment on the meeting). In fact, the government temporarily halted issuing permits for foreigners to visit Tibet2 Luckily, they quickly changed the policy, and we were able to obtain a permit. Tibet and China have had a long history as neighbors, with Tibet remaining independent from China for most of its history. This began to change in the past few decades. In 1950, China invaded Tibet, making Tibet a “national autonomous region” with the Dalai Lama still in charge. This didn’t go well, and things started getting ugly. Eventually, it got so bad that the Dalai Lama had to flee Tibet in 1959, making India his new home. 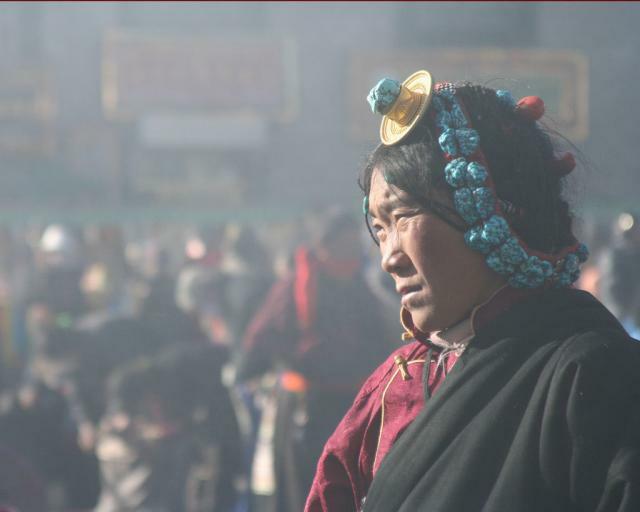 After the ban on religion was removed in 1976, Tibetan Buddhism and culture began to re-emerge. Calls for independence from China have occurred since then, but have been quickly squashed by the Chinese government. 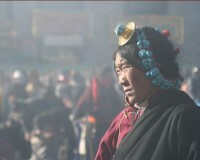 Therefore, the “Free Tibet” cause has largely occurred outside the borders of Tibet. Of course, the Chinese are not willing to budge on their stance on Tibet, noting that Tibetans should be thankful to the Chinese for rescuing them from the serfdom that existed before the Chinese arrived and for investing millions of dollars in Tibetan infrastructure and other government services. The future of Tibet is unclear. Thousands of Chinese are moving into Tibet because they believe opportunity awaits them, similar to the Go West movement in America in the mid-1800s. This mass migration, plus the increase of Chinese tourists, has been facilitated by the recent completion of a new railway linking mainland China with Tibet. Many Tibetans believe this addtional Chinese influence will ultimately lead to the dissolution of the Tibetan culture and an end of Tibet as it is today. Stay tuned!